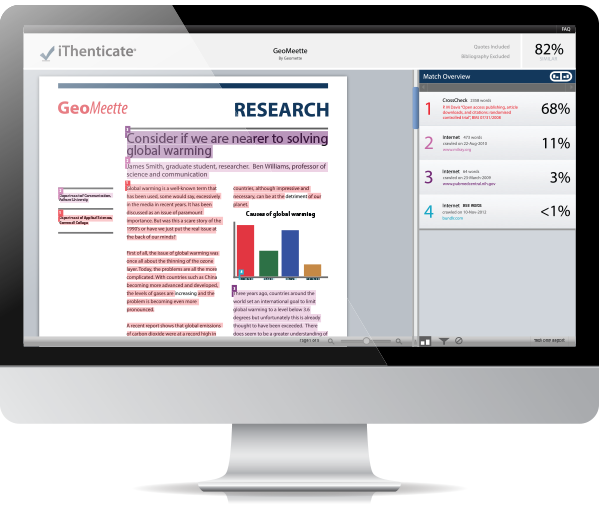 Whether you're a publisher, government organization, non-profit or legal firm, if you have an interest in ensuring content originality, iThenticate is the solution for you. Is it indexed by iThenticate? We are pleased to have found a tool that meets our scientific and legal needs, as well as being a good fit with our editors. Is the Internet to Blame for the Rise of Plagiarism?